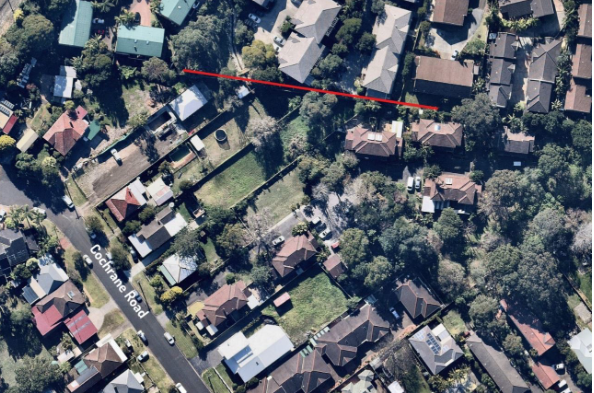 A block of land has gone on the market in Thirroul- and it’s just $10,000! But before you call the bank, there’s something you should know. It’s just 12 square meters- total size. The parcel is Lot 2 Cochrane Rd and is being sold through MMJ Wollongong. 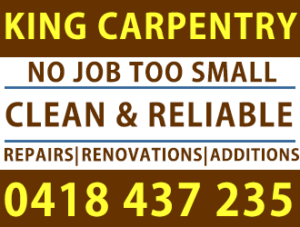 Yes- you read it right- 12 square meters. It’s 20 cm wide and 83.6 metres long! Talk about a project for Grand Designs! Wollongong Council is selling the land, which exists under complex circumstances. “There is a very precise process which we are required to follow by law,” she says. “It involves putting the land to auction and if it does not sell, putting it on the market for sale direct to the public. This has been a regular process for Council over the past few years. In this particular instance, a notice of proposal to sell was issued to the registered owners of the lot in 2014. 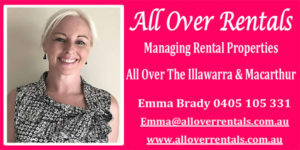 “Council is entitled to sell land if rates remain unpaid. 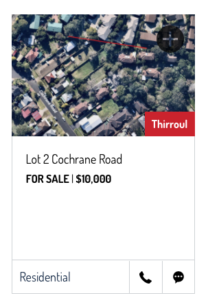 Properties like the one at Thirroul have been effectively ‘abandoned’, either by its owners decades ago, through a death where it wasn’t passed on through the Estate or if it had been owned by a company that has been wound up. “The end result is land which is listed as being in private ownership but the owner often doesn’t exist. “The sale allows this land to be marketed, and in most cases sold to the adjacent owner, who may have, knowingly or unknowingly, been using this land for many years. The sale of the property allows Council to recover the outstanding rates debt, with remaining money going into a trust fund awaiting a claim by the original owners.